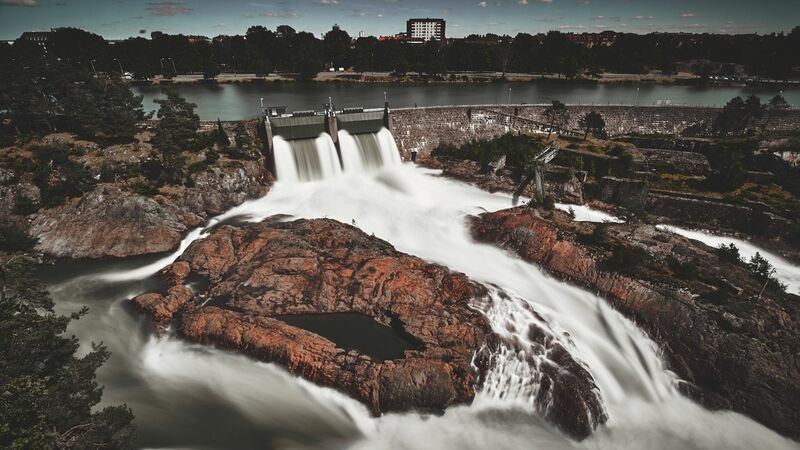 During the summer month daily at 3:00 PM Vattenfall opens the gates to the Göta älv and 300.000 litres per seconds donn to the valley. You can park anywhere. Then crossing the Oscarsbrun and climb the way to the view points. There are many of them..go to the highest point and follow the way to the platform. Thank you PICTOR PHOTOGRAPHY for creating this photo spot.